The Oracle SOA Suite is a set of products for building, deploying, and managing service-oriented architectures. Its benefits include the management model, end-to-end security, and unified management of metadata. The architecture is hot-pluggable and helps reduce costs by maximizing the reuse of connectivity services, protecting IT investments, regardless of the computing environment or technology. Easy to use, it reduces maintenance costs and complexity, while managing life-cycles in a unified way. 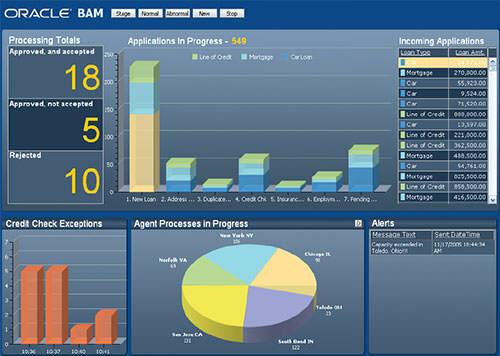 Management and monitoring of all suite components in a single, native, and integrated Oracle Enterprise Manager console. Ready for governance with impact and dependency analyses.